Soy for Weight Loss: Does Soy Promote Faster Weight Loss? Soy is a very common ingredient that many of us consume every day – regardless of whether or not we know about it. It’s tucked into many processed products and oils. That said, it is also broadly used for its medicinal purposes. 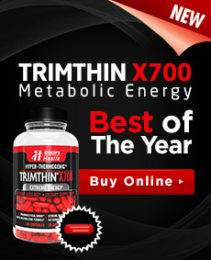 Many people even use it for weight loss either as a food or as a part of a supplement. This ingredient can be listed simply as “soy” or it may also be identified as: cosse de soja, fermented soy, dolichos soja, fibre de soya, genestein, genistein, glycine gracilis, feve de soya, estrogene vegetal, edamame, or many others. Soy is a substance that is obtained from soybeans. These beans are grown as massive crops in many regions of the world and have long been a central component to many Asian cuisines. There are many ways that the plant can be processed in order to obtain food and medicinal ingredients from it. For instance, those beans can be processed into soy protein, a powder. It can also be made into soymilk, which is a liquid. Often, soymilk is fortified with additional calcium so it can be consumed as an alternative to cow’s milk. Soy fiber is also obtained from this bean. In terms of medicinal purposes, many people use soy to help with high blood pressure, high cholesterol, heart disease prevention, blood vessel problem prevention, asthma, type 2 diabetes, endometrial cancer, lung cancer, thyroid cancer, prostate cancer, osteoporosis prevention, and the slowing of kidney disease progression. Many people will also use it for the treatment of both diarrhea and constipation. It can decrease urine protein levels in people who have kidney disease. Some people think it improves memory. Many bodybuilders and athletes use it to reduce exercise-induced muscle soreness. It is also seen in many weight loss products. Women often use it to prevent breast cancer to reduce breast pain, to prevent hot flashes, to decrease menopausal symptoms and to ease premenstrual syndrome (PMS). 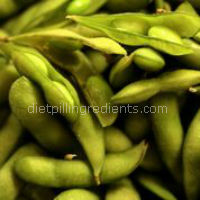 It is the isoflavones in soy that are considered to be the active ingredients. While these have been seen as being beneficial in many studies that have used this substance for treating many conditions, that is only when a person takes enough. Unfortunately, research has indicated that under 25 percent of products containing soy isolflavones actually contain within 90 percent of the content indicated on the label. Moreover, buying a more expensive product doesn’t necessarily mean the label will be more accurate. That said, among the long list of benefits this substance has been shown to have, there is insufficient evidence to conclusively indicate that weight loss is one of them. There is some preliminary evidence, but the proof has yet to extend beyond that point.